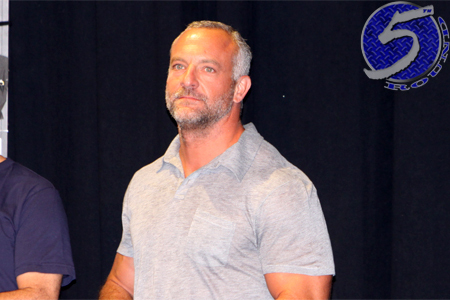 For those still buzzing over Saturday night’s UFC 142 event and forgot UFC co-owner Lorenzo Fertitta (Pictured) was discussing fighter salaries on “Outside the Lines” this morning on ESPN2, no worries because we’ve located the footage for your viewing pleasure. According to Fertitta, the world’s most prestigious mixed martial arts promotion has paid more than $250 million to their fighters since the company started turning a profit in 2005. Furthermore, 39 of their athletes have become millionaires under their watch. Speaking of watching fights, Fertitta revealed 29 of their independent contractors receive a cut of pay-per-view profits. UFC welterweight king Georges St-Pierre, one of their stars that shares a piece of the PPV pie, reportedly earns up to $5 million each time he takes the Octagon. However, GSP-caliber icons aren’t necessarily the issue. The OTL piece spotlighted the undercard competitors that earn as little as $48,000 in their first year with the UFC – assuming they fight three times and win each bout. Because the UFC is a privately held company, they are not required to disclose their financial numbers to anyone. Therefore, it is difficult for managers to negotiate for a larger percentage of the company’s revenue for their clients. The term “monopoly” was once again brought up regarding the UFC’s stranglehold on the sport of MMA, to which Fertitta vehemently denied. Before seeing Sunday’s report, UFC president Dana White bashed it and promised to release an uncut version of Fertitta’s interview with ESPN. That footage has yet to hit the Internet.